With over two-hundred hours in Breath of the Wild, I have done a lot in it. I have climbed mountains, explored dells, wandered through towns and killed evil creatures the length of Hyrule. Despite having played many open-world adventure games over the past few years, many with much better hardware and control inputs, more involved stories and deep and storied lore; despite the fact that the Skyrim theme has been burned into the dendrites of my soul (including how to sing the Dohvazul bit); Zelda’s Breath of the Wild feels different. Lost in a forest, lost in your mind. Gone are the days of running around immensely scaled maps, handing in quests by the bucketload. 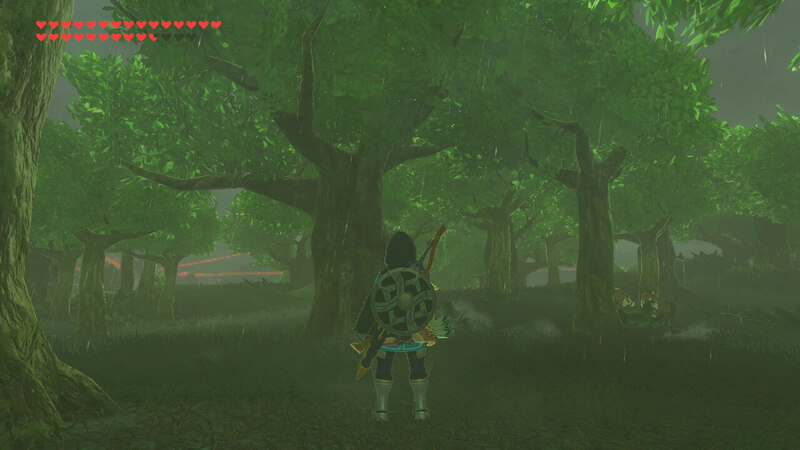 Instead, my time with Breath of the Wild is more meditative — slowly walking through forests, stopping to look at the scenery, discovering secrets hidden away in the geography of the world. Hyrule is, well… open. Despite having a larger map than Skyrim, it all feels interconnected. Standing on the highest summit in the Gerudo highlands, I can see all the way across to Hyrule castle and beyond that, Goron Mountain, the complete opposite side of the map. One way Zelda ties together its game world is the sheer wealth of methods to navigate the landscape. Walking, running, climbing, paragliding, going upwards with Revali’s Gale, riding with horse or motorbike and finally, swimming. The Hyrule of Breath of the Wild is meticulously crafted, creating a world ripe for exploration. 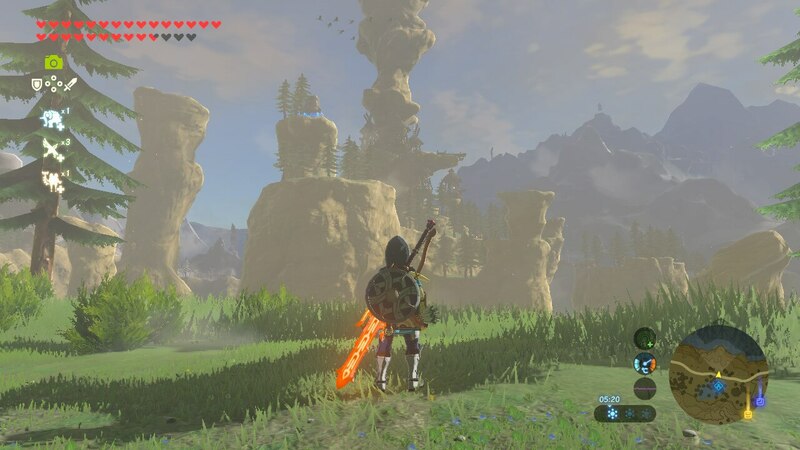 The world was specifically designed with large landmarks being hidden behind hills, giving a visceral bonus to vertical exploration in addition to locking away the rest of the map, meaning a large amount of game time is spent in small areas — every interaction is small and self-contained before you climb over that hill and see all else that Breath of the Wild has to offer. 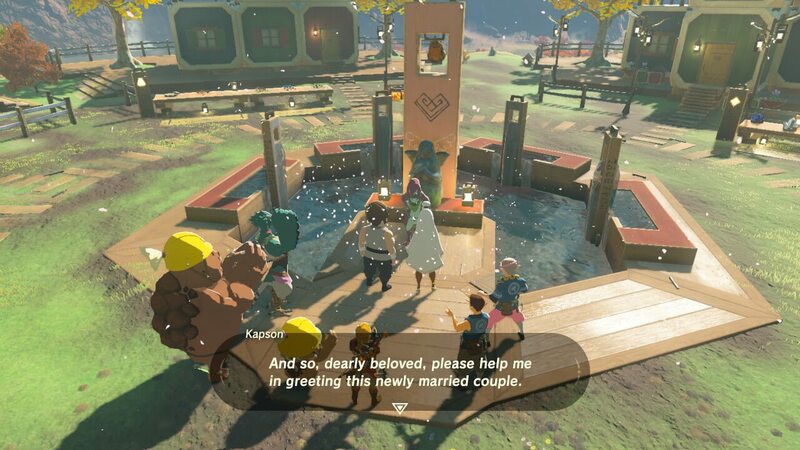 Such a beautiful wedding, it made me emotional. A tale of tragedy and eventual redemption, Breath of the Wild is a tale worthy of the Greek playwrights, complete with an epithet worthy of the Odyssey: the sword that seals the darkness! However, the lack of gods running around Hyrule would be a little saddening to Homer. It’s a deep story, rich with hubris, sadness, failure and eventual happiness. The memories — memories of Link and Zelda’s travels before the Calamity — detail a world on the edge of despair. This story fills the whole world, both in the use of the memories and the inhabitants of the land, making every action important. Every battle is a battle to increase your strength and protect the people of Hyrule, every trip a trip to understand the world you have re-entered, regain your memories and find shrines to gain the powers to defeat Ganon. You are part of the world. And, well, speaking of powers, it’s time to talk about the runes. Over the course of the tutorial, you are given and taught these magical powers to use throughout your journey. These runes are Stasis, which can freeze objects or people for a period; Cryonisis, which creates large pillars of ice from water; Magnesis, which lets you interact and move metallic objects; and finally the bomb powers, which let you create, throw and explode cubic and round bombs. Later on, you also gain the camera rune, which lets you take photos of the world, add photos to your compendium of all the items in the game and activate the memories of your past life. These runes, when combined with the elemental arrows (ice, fire and electricity) grant you a wide range of chemical and physical tools to interact with the world. These reactions work wonderfully, make sense and, for the most part, are never tutorialised past a few hints. They make enough sense that people can just ‘get’ them. If you are fighting in a hot area, cold weapons do large amounts of damage against monsters, as you would expect. In addition, if you have a cold or hot weapon equipped, you will be hotter or colder, which helps in extreme temperatures so you don’t hurt yourself by freezing or burning. And that is one of the best things about Breath of the Wild: its attention to detail and the complexity of the simulation it works on. A while ago, Austin of Game Theory did a video looking at the temperature around the map of Hyrule, graphing it on the map, then looked at it. Interestingly, the areas where hot and cold air mixed were also the areas with the most rainfall. This is a video game that actually takes into account the basics of meteorology. A grand story, complete with cutscenes, portrays the buildup to the return of Calamity Ganon. Working through the game, you discover what has changed over the past century, helping people come to terms with what has changed and meeting and working with the ‘descendants’ of the slain champions to gain control of the divine beasts again. You must then prepare yourself to venture to Hyrule Castle, ascending to the sanctum and doing battle with the huge monster Ganon. Alternatively, you can finish the tutorial great plateau, sprint across Hyrule field and thwack Ganon across the head with a stick. Breath of the Wild gives you a grand story filled with things to learn and do, and then gives you the option to just skip through it. 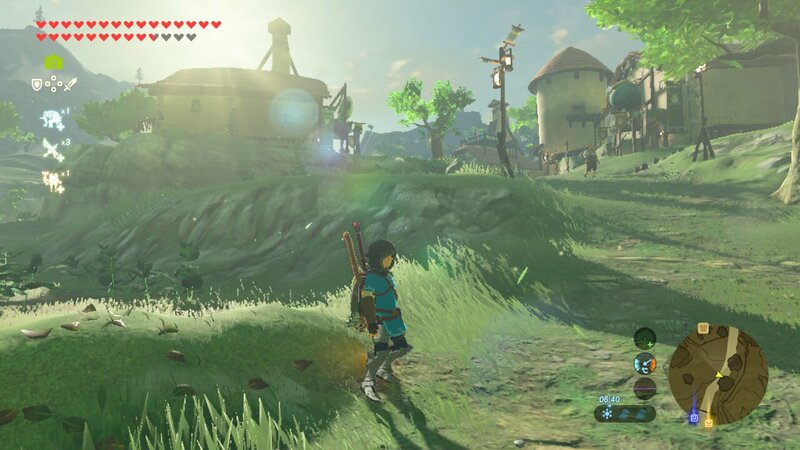 Honestly, the villages in Breath of the Wild are so amazing to wander through. Speaking of the great plateau — what an amazing tutorial. Locked away above the rest of the map with a mix of vertical elevation and magic, teleporty fog, it gives you a microcosm of the world in which to test your skills. There are quests for you to do, teaching you the major mechanics of shrines, fighting and Sheikah towers. Aside from those, this is a tiny little section of the world filled with a subset of all the things to do. There are different environments: forests, plains, hills and a nice mountain that teaches you how temperature works and makes you work to complete your quest. In addition, there are a few ruins, which show you what sort of world this is and sets up the major themes of the game. Everything’s broken, but now it’s being grown over and turned into something new. Now I’ve rambled for quite a while on a year-old game, so let me try to bring this back to some form of slightly logical conclusion. Breath of the Wild is perhaps the finest example of a modern systemic game — one wonderfully melded with a fantastic world and a personal story of pain and heartbreak. Breath of the Wild, for me, means so much and does it so simply. That, in my eyes, makes it beautiful. Perfect Zelda game. Top 3 with Ocarina of Time and Skyward Sword.